Service excellent goods delivered quickly. However, unable to comment on product not used. 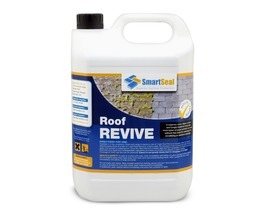 Weather conditions have not been conducive for me to use the product since receiving it, however SmartSeal deserves real credit for their speed of service - the 25-litre product was ordered on a Sunday afternoon & arrived first thing the following Tuesday. Impressive. Worked like a treat. 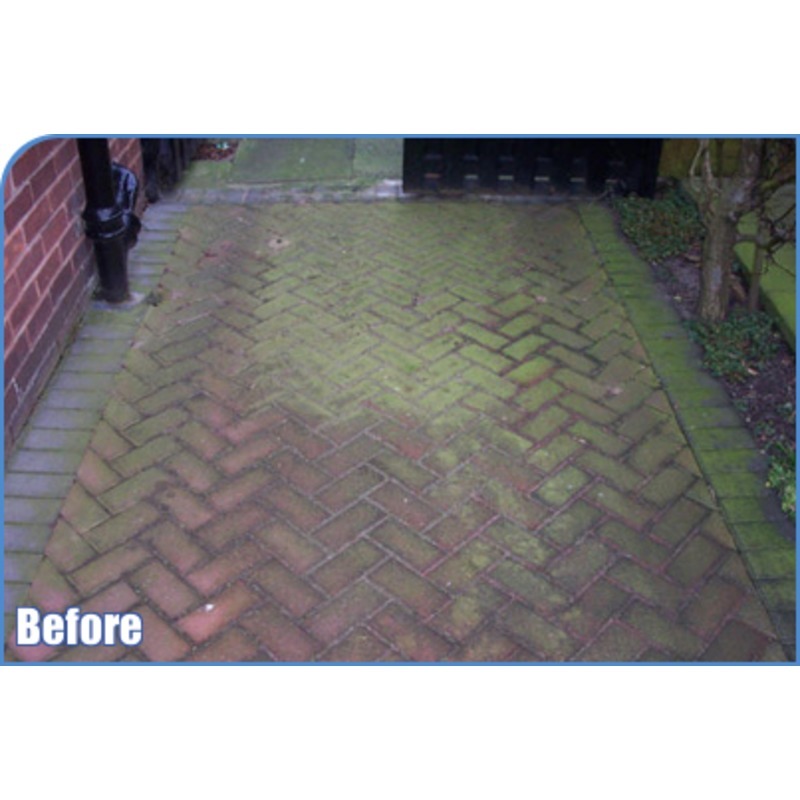 Killed all the green slime on our natural paving slabs very quickly & almost all the moss...a few areas needed a second treatment but very pleased with this. Excellent product. 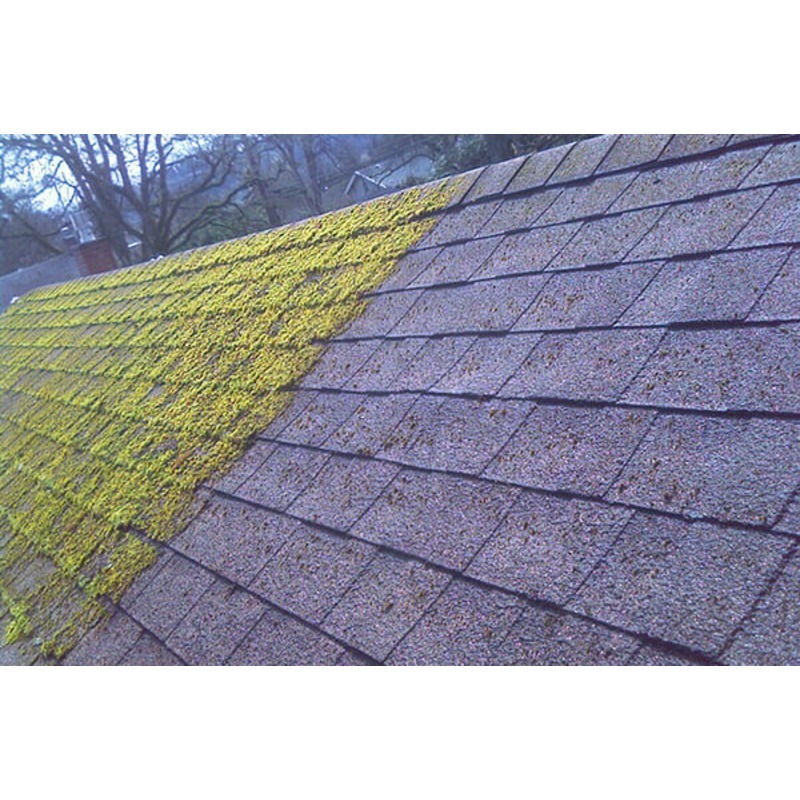 Sprayed the roof of our bungalow, killed all the moss in about a week. Just need to brush it off now. 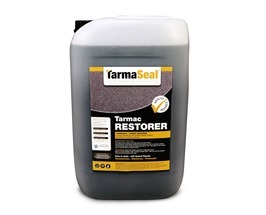 We have used this product several times now on our customers drives and after two coats on 20 year old blocks it does look like you have just laid a new drive . Would definitely recommend. I always purchase this particular brand/product as I know it actually works effectively,by far the best I have tried.Delivery is prompt also.Personal opinion,it’s the best of it’s class. Have used this several times. Brilliant results! 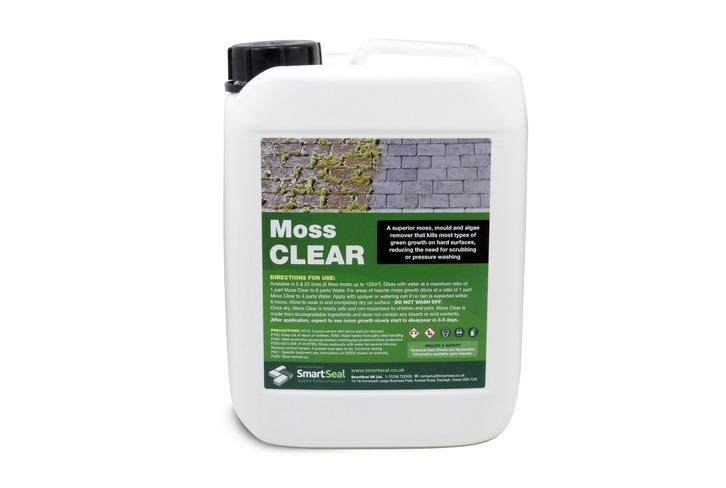 This is a great product to use, especially moss clear pro the, benefits are great it can be applied all year round and in low temperatures and once dry is child & pet friendly. First time using this product does what it states very pleased with the result. Yes! it has done what it says on the can. I have used it on my block paving which was only lightly infected by moss and it appears to be working well. I have also applied it to my roof which is of cement tiles which was very much infected by moss, the moss has after 3 days turned a yellow colour and I am just waiting for this to fall away. I'm hoping for the best on this. The best Moss treatment product on the market in our opinion. Makes our life easier when dealing with a moss covered surface as a pre-treatment. Wow what an amazing product!!! I recently had 90m of sandstone pavers laid, I sealed them straight away with Smartseal sealer but to my horror they were going green with 3mths. I tried jet washing them but the green still didnt come off. 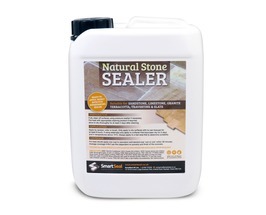 A call to smartseal customer services for advice ended with them sending me a sample bottle of their Moss Clear product due to the amount of Paver seal I had previously bought. I was not confident it would work as all you have to do is mix the Moss Clear to the desired strength (I used 3 parts water to 1 part moss clear) then pour it over the affected area and let nature take it course. Well even by the next morning the results were evident, now the whole 90m looks like new again, an amazing product that really really does work wonders. Many thanks. Used MOSS CLEAR at lot,on all different roof types, very good product Delivery always on time and as for help and support well what can I say FIRST CLASS !! Good product - The moss was thick on our stone slabs, and it is clearly dying after 3 days. Delivery was good, well packaged and on time, but a little expensive. Does exactly what it says.....and no more: I was amazed to see that tufts of grass survived, but the moss and algae were totally zapped. Good product, good price (apart from postage) prompt service. Have a tarmac drive and has done the job well so I can recomend Moss Clear and SmartSeal ... will be visiting you again when the dreded Moss returns! 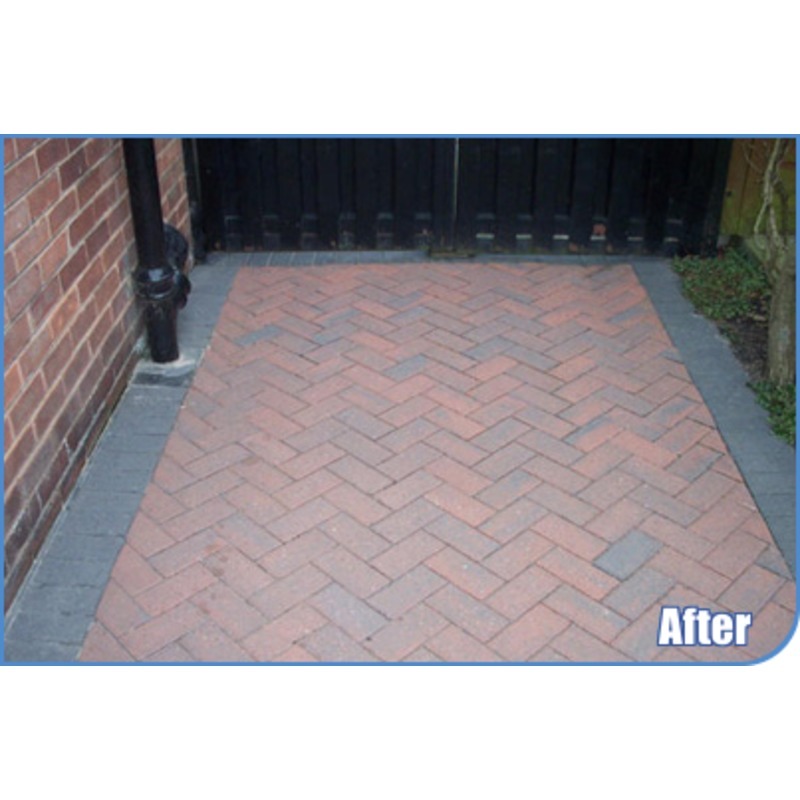 Used product on north facing block paved driveway. Varying degrees of algae depending where the sun shines. So, I applied with a watering can 5:1. In the lighter areas the algae disapeared as it dried! In the heaviest areas the area was clear in three days. Very impressed with product and service have ordred more for next time. Arrived withing 3 days as promised, technical help second to none, applied one coat with sprayer tonight, hopefully in a few days the area will be ready to be washed. 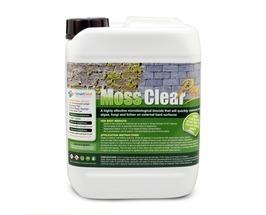 We also recommend Moss Clear as a moss killer for use on paving, tarmac and other concrete surfaces. 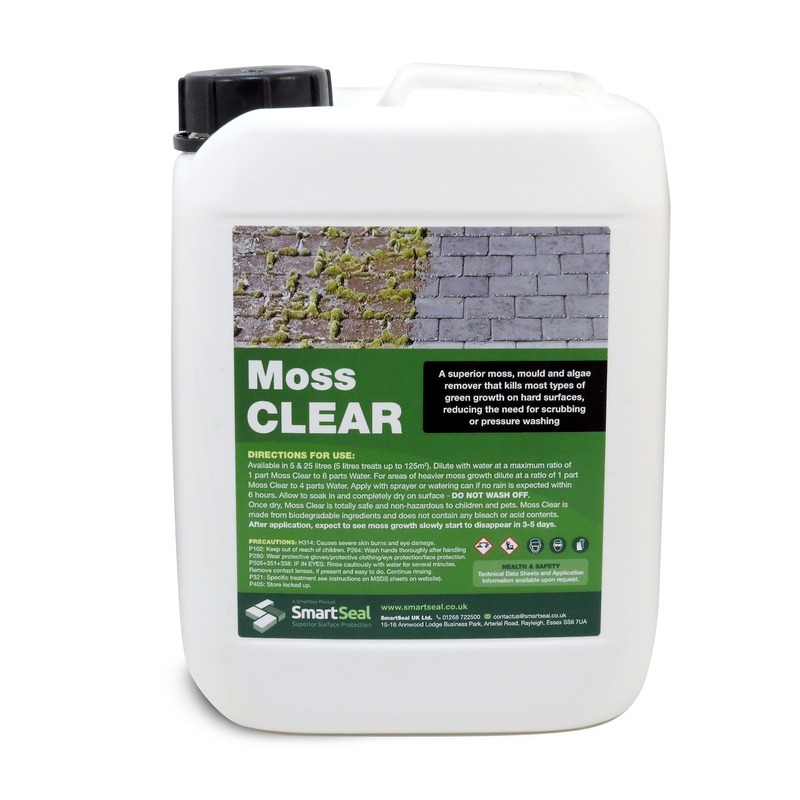 Coverage of approx 100m2 to 125m2 can be expected from 5 litres of moss clear. Application by sprayer or watering can is recommended.